Continuing an unfortunate trend in local insect-related art shows that I have missed, here are some works from Bay Area artist Ana Labastida. 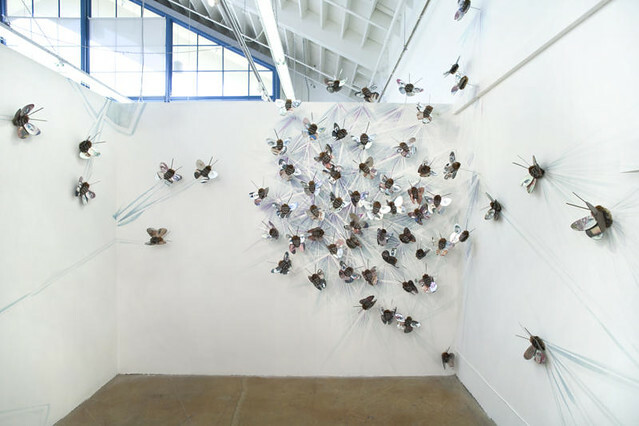 Her installation "Pullulate" is just one of several works involving moths and swarms, and was recently on display at the aptly named Swarm Gallery in Oakland. All her works are made out of recycled materials. Who doesn't love moths with eyeballs? Find me that person, if you can. I know predators don't like them, but I think they're keen. To prevent future gallery attendanceFail, I have taken the advice of culturevore Engineer's Daughter and am now keeping a closer watch of art-announcement sites like Happenstand. I am determined to catch all insect art in the butterfly-net of my retinas! 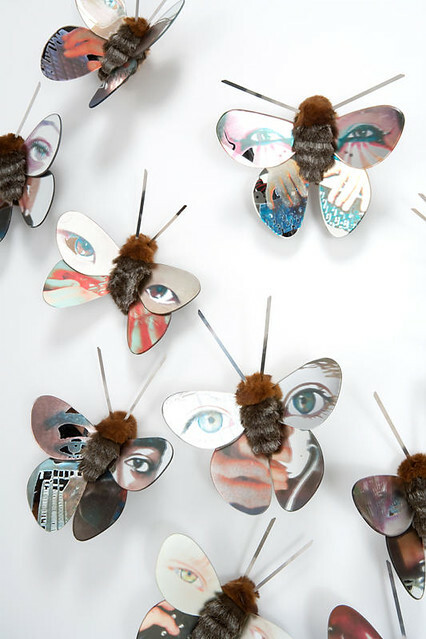 This entry was posted in art and tagged Ana Labastida, moth, Swarm Gallery. Bookmark the permalink.